The Dodd-Frank Wall Street Reform and Consumer Protection Act, the Sarbanes-Oxley Act, the False Claims Act and many other federal and state statutes provide protections for employees who raise internal or external complaints regarding potential violations of the law. For employers, this new environment poses compliance and litigation challenges. As lawmakers make it easier for employees to make claims and reap rewards, and as high rewards for whistleblowers, the number of whistleblower complaints filed with the SEC, the EEOC and the DOJ continue to soar. The growing number of significant awards to whistleblowers will continue to incentivize company insiders, market participants, and others claiming potential securities law violations to file complaints. In this dangerous environment for employers, we help our clients be prepared to respond aggressively and strategically to avoid liability and its associated impacts on employee morale and an organization’s reputation. Our Whistleblower and Retaliation team helps employers develop and implement compliance programs, investigative processes and defend against these lawsuits and charges, which often involve sensitive and highly confidential information. Our team is experienced in handling matters at all levels of the administrative and federal process. Our team is comprised of experienced former federal prosecutors, in-house counsel and compliance experts. We advise our clients on the development of effective internal complaint processes and provide training to in-house lawyers, compliance and human resources professionals, and managers regarding effective management of the internal whistleblower process. When the circumstances warrant it, our lawyers conduct confidential internal investigations of employee complaints. Where necessary, our experienced trial lawyers litigate retaliation and other related whistleblower claims through trials and appeals before state and federal courts. Our practice group includes attorneys with extensive experience litigating whistleblower and retaliation cases. When litigation is necessary, our lawyers are uniquely positioned to vigorously defend our clients in all fora. We have extensive experience representing clients in whistleblower and retaliation cases before the Department of Labor and other federal and state agencies, as well as in state and federal courts. This includes the representation of clients in False Claims Act whistleblower retaliation and qui tam cases; Sarbanes-Oxley investigations and litigation; Dodd-Frank investigations; Occupational Safety and Health Act retaliation investigations and litigation; and investigations and litigation under other industry-specific anti-retaliation laws. 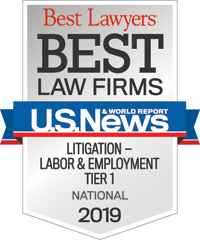 To serve our clients in an efficient and cost-saving manner, we have assembled a team of lawyers to assist employers at every stage to develop effective compliance and reporting programs, assist in sensitive investigations, manage whistleblowers to avoid retaliation claims, and defend employers from retaliation claims. Defended a large utility company in response to state whistleblower complaint of accounting fraud to enhance appearance of earnings. Defended a global food manufacturer in a SOX retaliation claim alleging financial fraud and manipulation. Defended a global pharmaceutical company in a series of complaint of improper corporate use of pharma product sampling. Represented an industry-leading manufacturer and government contractor in False Claims Act retaliation claims brought by finance employees. Represented an industry-leading manufacturer in response to an SEC whistleblower claim of accounting improprieties. Defended a computer technology company in a Sarbanes-Oxley retaliation claim alleging financial fraud. Defended global insurance company against Sarbanes-Oxley Act whistleblower claims and claims under the Illinois Whistleblower Act.